We hate to rock anyone's world in a bad way heading into the weekend, but for the four people this might affect, AMD is no longer supporting the 32-bit version of Windows 8.1 with its Crimson ReLive drivers. Here comes the pitchfork. 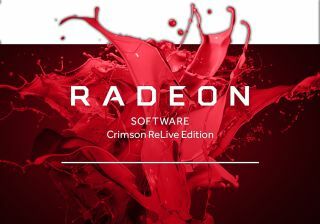 AMD's latest driver release for Radeon graphics cards is ReLive 17.2.1. As we reported last week, the newest drivers contain performance optimizations for Sniper Elite 4 and For Honor, both of which came out on Valentine's Day. According to AMD, Radeon RX 480 owners could expect up to a five percent performance boost in in the former and up to a four percent boost in the latter with the new drivers, compared to ReLive 17.1.2. Unfortunately for Windows 8.1 32-bit users, ReLive 17.1.2 is the end of the road. There aren't any newer drivers available, nor will there ever be. TechPowerUp says AMD told the site that hardly anyone uses the 32-bit version of Windows 8.1 anymore. "We when got in touch with AMD, we were told that the company doesn't have new drivers for 32-bit Windows 8.1 We were even told that it's because nobody cares about 32-bit Windows 8.1 anymore, citing extremely low download numbers," TechPowerUp said. It looks like AMD is willing to sacrifice platforms with low numbers in order to remain nimble in its driver development. To that end, it's worth noting that AMD was the first to stop supporting Windows XP and Windows 8. A peek at Steam's hardware survey reveals that just 0.26 percent of its users are running Windows 8.1 in 32-bit form, versus 8.14 percent that have the 64-bit version. It doesn't say how many of those users also own a Radeon graphics card, though it's reasonable to assume that at least some of them have Nvidia hardware. The takeaway is that less than 0.26 percent of Steam users will be affected by this move. AMD still supports the 64-bit version of Windows 8.1, as well as 32-bit and 64-bit builds of Windows 7 and Windows 10.